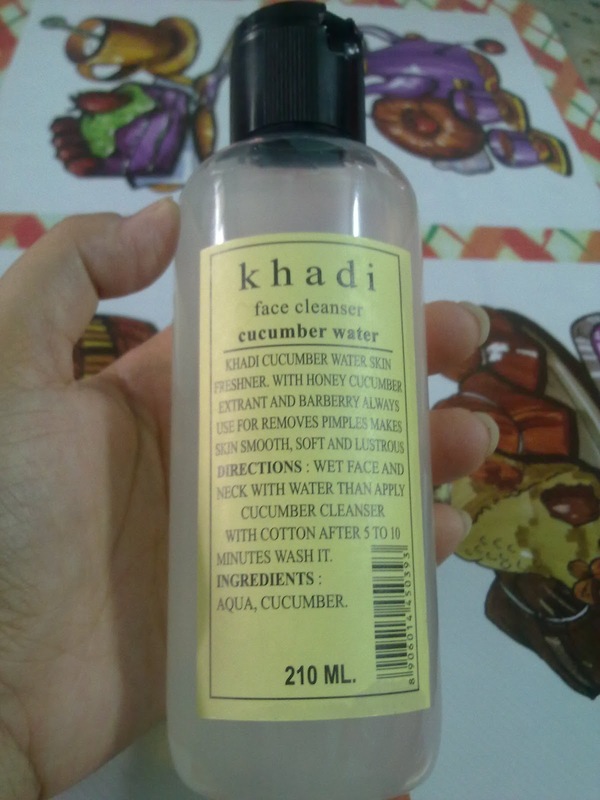 As summer is in it’s top form, I have developed a habit of giving a temporary relief to my face by spraying chilled rose water, khadi mint and cucumber face freshner, rubbing ice cube etc etc. Although the relief in too short but it does freshen me up. Due to the weather condition in Kolkata, I sweat a lot and have developed few acnes on my forehead L, which I am desperate to get rid of. Recently I bought some face packs from Khadi which really worked for me (specially the fruit face pack). That’s why I decided to give this Cucumber Water a shot. With honey, Cucumber extracts and barberry. Removes pimples, makes skin smooth, soft and lustrous. 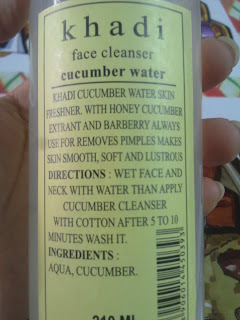 Wet face and neck with water, then apply cucumber cleanser with cotton. After 5 to 10 minutes wash it. As Khadi products are totally herbal, it has become one of my favorite brand. Till now I don’t have any complaint about any of the products of Khadi. 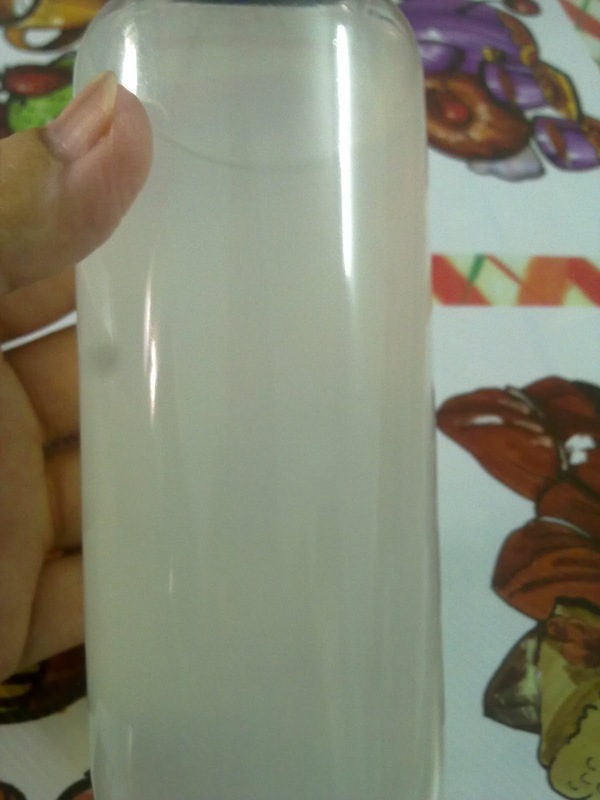 So coming to the packaging of the product, it comes in a white transparent bottle with a flip open top. 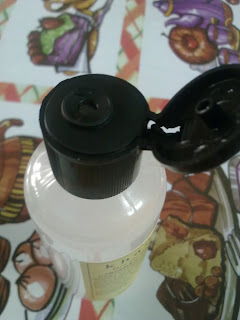 One bad thing about the packaging is that if the bottle is not kept upright, it leaks. I did waste some by keeping it horizontally. The liquid is a translucent in nature. It doesn’t have any smell as such. As per directions, I use it on a wet face with a cotton ball. It does not sting or irritate my face at all nor does it feels sticky on your face. 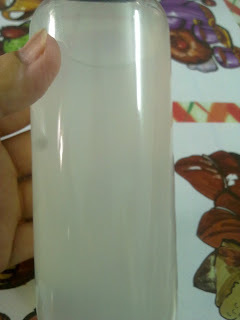 After washing off the liquid, it gives a fresh and a smooth feeling. One thing I don’t understand why they have directed to apply it on a wet face and not on a dry face??? Whatever, I also use this cucumber water to make my face pack. Overall it’s a good product, although nothing great but useful. Khadi Products with wide range of bath and beauty products delivered at your doorstep with worldwide shipping.